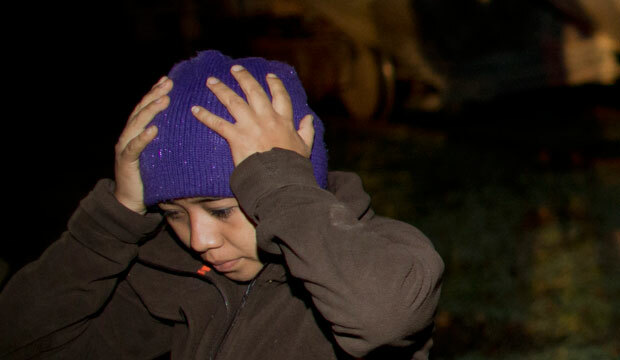 Shortly after New Year’s Day 2016, the Obama administration green-lighted a series of highly publicized immigration raids to apprehend, detain, and deport Central Americans—most of whom were mothers and children—who came to this country over the past two years seeking protection. In the first two days of the raids, U.S. Immigration and Customs Enforcement, or ICE, apprehended at least 121 people from around the country, and additional raids are expected. According to news reports, ICE personnel have entered homes—sometimes without a warrant or consent—and roused children from beds before taking families into custody. While the U.S. Department of Homeland Security has so far targeted families that have final orders of removal, there remain serious questions about whether those targeted by the raids received sufficient due process, such as the opportunity to find adequate legal counsel in immigration proceedings and accurate and sufficient notice regarding scheduled court hearings. It is the legal and moral responsibility of every nation to protect people from being returned to face persecution and torture in their home countries. Under both domestic and international laws, protecting refugees means—at the very least—ensuring that no person be returned to a country in which that person has a well-founded fear of persecution because of race, religion, nationality, political opinion, or membership in a particular social group. Where persecution is perpetrated by a nonstate actor—as is often the case in the Northern Triangle of Central America—refugee protections still apply where the state is unable or unwilling to offer protection. For people who seek shelter, finding protection in the United States is a matter of life or death. A forthcoming study described in The Guardian concludes that, since January 2014, 83 people who were deported from the United States to Honduras, Guatemala, and El Salvador have been murdered upon their return—some within days of being sent back. The Obama administration argues that the families targeted in these raids are not refugees because they all have final orders of removal. But many of these final orders may be suspect in light of the lack of counsel available for immigrant families and children in proceedings—as well as the U.S. government’s failure to provide accurate or sufficient notice regarding upcoming court proceedings. Wendy Young, president of Kids in Need of Defense, has called this situation a “due process crisis.” According to one study, 86 percent of the mothers and children whose cases were closed in immigration proceedings as of June 2015 appeared without counsel. This figure is especially significant as mothers with children who appeared with counsel were 14 times more likely win their cases than those who appeared without counsel. In many cases the government failed to even provide accurate and timely notice of future court dates to unaccompanied children, who face the same expedited treatment in immigration proceedings as mothers with children. This means that families can receive deportation orders in absentia simply by failing to attend a court date they were never alerted to. Even the small number of families who obtained counsel may not have received adequate representation: Already the U.S. Board of Immigration Appeals has temporarily halted the removal of at least 12 people apprehended in the raids—with three families taken off of a deportation flight just in the nick of time—to allow them to raise ineffective assistance of counsel claims. Given all of these concerns, the administration should put a halt on these widespread raids and appropriate procedural safeguards must be established. At a minimum, people who already have been picked up must be allowed to meet with an attorney before their removal. The ongoing raids also raise broader questions about whether conducting these types of enforcement actions at homes and in neighborhoods across the country is worth the collateral damage in terms of fear, isolation, and psychological harm caused to communities and children. Moving forward, it is time for the United States to acknowledge clearly and consistently what the United Nations High Commission on Refugees, or UNHCR, and others have been saying for several years: There is a refugee crisis brewing in our hemisphere. Just a few weeks ago President Barack Obama said that “refugees revitalize and renew America,” and drew a parallel between “Central American teenagers running from gang violence” and “[r]efugees from Vietnam, Laos, Cambodia” and “the Lost Boys of Sudan.” But while the Obama administration has advocated forcefully in defense of Syrian refugees over the past couple of months, it has hesitated to always recognize the plight of refugees who flee violence in this hemisphere. Acknowledging the recent uptick in Central American children and families feeling violence as a refugee flow requires the United States to work with the UNHCR and countries in Central America to identify safe and secure ways to process and resettle refugees. It means prioritizing protection and accuracy above speed when adjudicating the cases of people who request asylum from within the United States. And it means pursuing ways to address the root causes of this incredible violence. The $750 million recently appropriated by Congress is a good start, but more action will be needed. There is no question that the United States should work to stem the flow of families and children coming from Central America—the journey is notoriously dangerous and is controlled by ruthless smuggling networks. But the U.S. must do this not by threatening deportation or conducting home raids that discourage people from seeking safety. Rather, the U.S. must improve conditions in the region in order to enhance human security and increase meaningful opportunities to request protection and be vetted from within these and other countries in the region. U.S. Secretary of Homeland Security Jeh Johnson explained the raids by saying, “we must enforce the law consistent with our priorities. At all times, we endeavor to do this consistent with American values, and basic principles of decency, fairness, and humanity.” That is no doubt true. The question is whether these raids—and any proceedings that led up to the raids—really honor those values and principles. Tom Jawetz is the Vice President of Immigration Policy at American Progress.